Almost all employers carry out a criminal record check for a prospective hiree in order to ward off potential problems a person may have in their past that they could bring to the workplace. Hence, securing a National Bureau of Investigation clearance is one of the documents required for local and overseas employment. This criminal record checks for employment is deem necessary especially when placing somebody in a vulnerable position. No employer wants to hire someone unsuitable people convicted of theft, fraud or dishonesty. 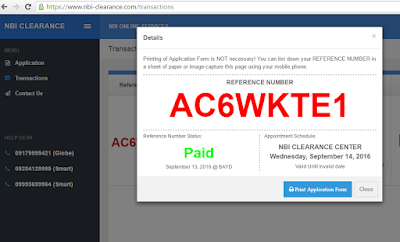 The high demand for NBI Clearance made it a tedious process that takes an entire day. 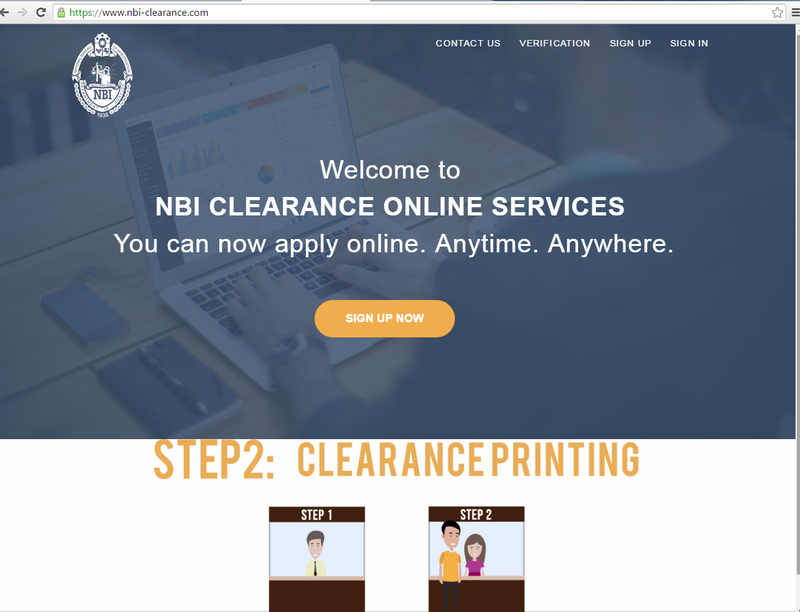 But now that NBI roll-out out its online clearance system, the much-needed document can be secured in just one hour even for new applicants. It cuts the traditional six-step clearance process in half. The agency claims the registration process will now only take less than five minutes, and is even possible via mobile phones. The first of three steps involves online registration through the NBI website at www.nbi.gov.ph or clearance.nbi.gov.ph. Once there, an application form will have to be filled out, an appointment date will have to be set, and payment will have to be made. The site can be accessed via mobile phone. You can accomplish the first step in the application process in the convenience of your own home instead of spending time lining up just to get a copy of the application form and wasting more time filling it up the form. Some NBI branches do even have the online facilities which the public may use to access the NBI site. First-time applicants, can register by filling in a valid email and a preferred password after clicking on the SIGN UP button. Tick the “I accept Terms of Service” box. Check your email for the confirmation link to activate your registration. For those already registered, you may simply log in at www.nbi.gov.ph and type in your email address and password. 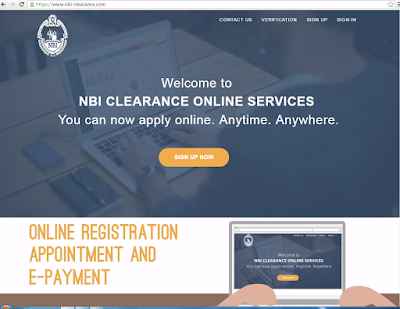 After you have provided your complete information on the online application form, you may then choose your preferred appointment schedule at any NBI Clearance Branch of your choice. Set the date by clicking on the blue shaded boxes which indicate vacant slots. Select AM or PM. On the payment information page, fill out the corresponding requirement. Indicate the purpose of your application and detail. Read important Notes in the Payment Information before selecting your payment option. Options include paying via banks and Bayad Centers like LBC. 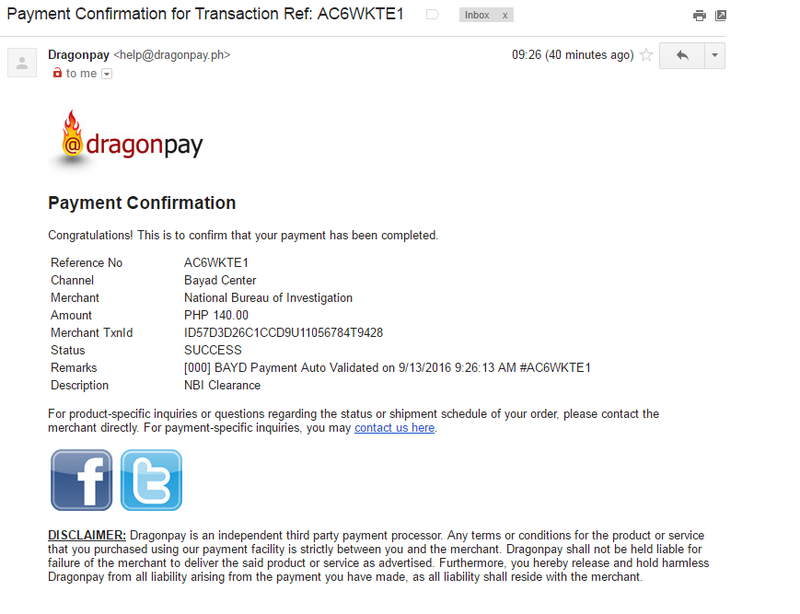 Once you have chosen your Payment option, you will be given a notification that you have completed the process. Go to the payment center, fill up the required form and indicate your reference number. 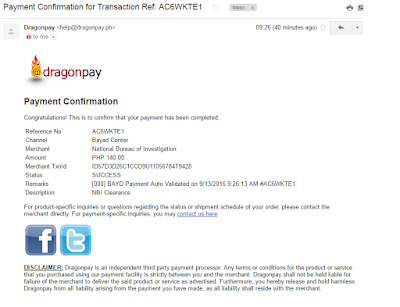 Check your email for payment confirmation and verify the status of your application by clicking on the Transaction button found at the left panel of the screen. Secure a copy of your Reference number by printing it or writing it down on a piece of paper. You are now ready to visit your chosen NBI Clearance Branch. 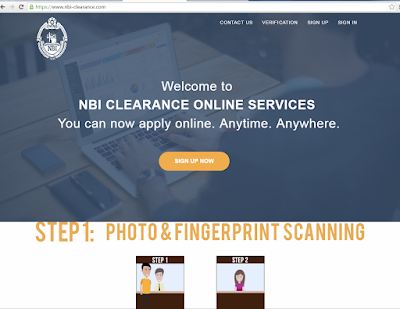 The NBI registration code will serve as yout gate pass to your chosen NBI clearance center, where you will undergo the second step of having your photo taken and completing your biometrics. Postal ID, Driver’s License, PRC License, TIN ID, School ID and other government-issued IDs). when you appear on your preferred appointment schedule. 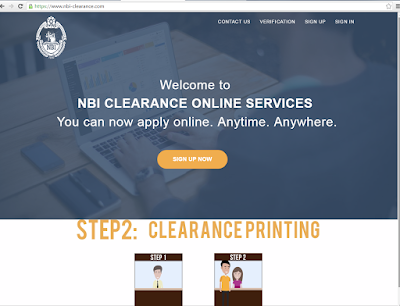 The third and final step is the printing of the NBI clearance. If you get a "HIT", you will be asked to come back after a week to get the clearance. Otherwise, you just have to wait for your name to be called to get your printed NBI Clearance.